Whether you’re running an eCommerce store or a warehouse, inventory management app comes into play quite a bit. From making scans to ensuring that customers are not confused with what’s in stock, the logistics of inventory are tedious, yet essential. Most stores that handle inventory are already utilizing some sort of inventory management tool. However, it’s required to have a glance into your inventory status while on the go. That’s where iBuildApp comes in. We just released a beautiful inventory management app template that can be implemented within minutes. 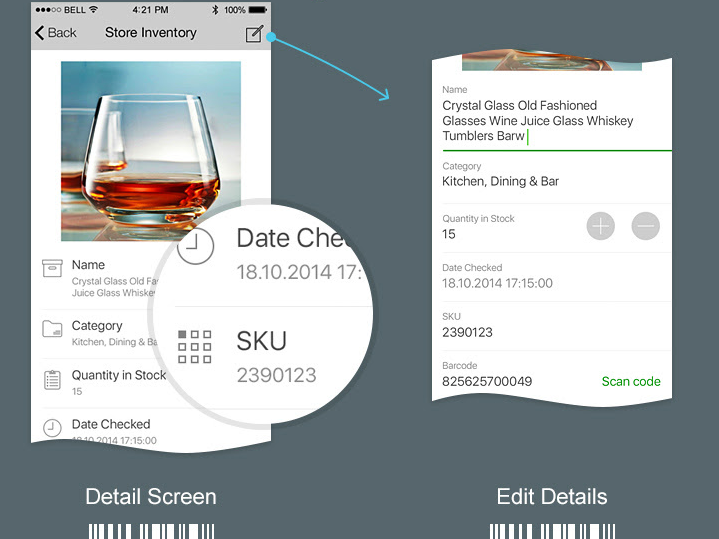 The app provides options for storing inventory, searching for items, categorizing and scanning barcodes. It’s a useful tool considering business managers are not always at their desks when they want to evaluate how much inventory is in stock. 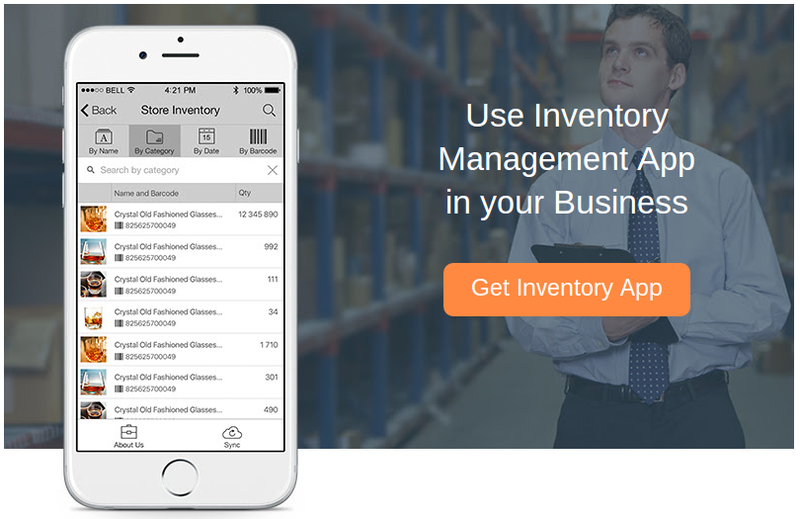 What Can the Inventory Management App Be Used For? The app can be used for just about any company that sells products. For example, a retail store requires a method for checking whether or not it needs to restock the shelves. The same goes for eCommerce shops. What are some of the other businesses that find the iBuildApp inventory management app useful? Uploading or manually inserting products into your inventory list only takes a few minutes. It’s all done in the iBuildApp dashboard, where you generate an item list with details such as item names, quantity in stock and more. You have the ability to search by keyword or filter by name, category, date or barcode. Each of the products are assigned a barcode just in case you need to scan them at some point. You can even include imagery to make it much easier to scroll through and see which of the items you need to check on. Each individual product page is filled with details to keep an eye on what needs to be restocked and how you need to go about doing so. For example, you can open up one of your inventory items to see how many products are in stock, along with the last date this item was checked. SKU numbers and barcodes are listed right on the inventory pages, and there’s also a button to scan the product if you’d like. Editing is also completed right through the app, and if you’d like to export all of the products into a Google Sheet, you can complete all of your data analysis there. When you login to iBuildApp you will need to create your own mobile app to get started. This can be done by taking a template from the iBuildApp library. After that, the Store Inventory module works as an additional feature, or page, that you add to your existing app. Once you locate and install the Store Inventory feature, you’ll be able to see all of the options required for configuration. A series of steps are listed in the design area to launch your inventory app. The first task is to sign in with your Google Account. Login with the Google account and then choose the Google Sheet that contains all of your inventory information. All you have to do is select the right document and then go into that document to find the right worksheet from that document. For example, you may have dozens of worksheets in one Google Sheet, but only one of them is going to get imported into iBuildApp. After that, the system automatically populates the items for you to see. Feel free to add more details if needed. For example, you may need to input imagery if you didn’t already have it in your Google Sheet. Are You Ready to Manage Your Inventory? If you have any questions about how the inventory management app works, or how to get it setup, feel free to let us know in the comments section below.